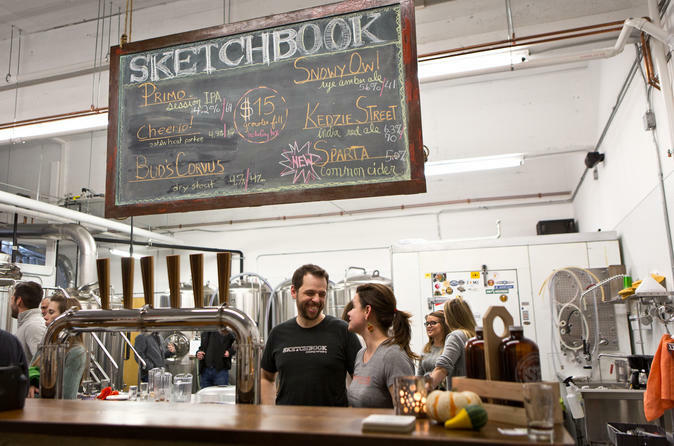 Chicago is home to many world-class craft breweries and you'll visit three of them on this private 4-hour evening tour, starting with hotel pickup. Your guide will work with your private party to choose the breweries you visit from a selection including Lagunitas, Revolution, Half Acre, Vice District, Motor Row, Sketchbook, Temperance, Atlas and Haymarket. Get a look at a brewery production facility at your first stop and learn how the beer you are sipping is made. At each stop, you will have the option to sample three 5-ounce samples or sip a pint of your favorite style of suds. Tasting fees are included along with a Chicago-style pizza dinner along the way. Your beer tour concludes with a convenient hotel drop-off.